Alternative Fuel Vehicles are still struggling against mainstream petrol and diesel models. Dave Moss looks at why sales are slow. Whether your fleet runs on petrol or diesel, or fuels such as Autogas/LPG or Compressed Natural gas (CNG) which appeal because of lower pricing or accessible bulk fuel supplies, now is a very good time to review some new possibilities presented by today’s Alternative Fuel Vehicle (AFV) marketplace. Latest JATO Dynamics data covering 54 key global markets reveals declining LPG and CNG vehicle sales, despite shale gas production reducing costs and securing future fuel supplies in the big US market, and improving CNG and LPG availability in Europe. New figures from the European Automobile Manufacturers’ Association ACEA confirm falling CNG sales in Italy, its strongest market. In the last quarter of 2015, Italian AFV sales fell over 23% compared to 2014, as gas‐fuelled registrations – alone accounting for over 80% of this entire sector ‐ fell steeply. In the same period, across the EU, AFV registrations increased by over 20%, while gas‐fuelled car sales fell by almost 32% – part of an 8.4% sector decline across Europe since 2014. The world’s new car marketplace is ever changing, bringing surprises every year. An analysis of those 54 markets by JATO reveals diesel engines are becoming less popular, taking a 22% share of 2008 sales, reducing to 19.6% in 2015 – while gasoline cars increased their share, from 71% to 73%. But early in 2016, there’s hardly a sign of an alternative fuel revolution driven by fleet or private buyers deserting conventional fuels for big AFV advantages. JATO’s data shows all hybrid and electric vehicles combined took just 0.9% of key global market sales in 2008, peaking at 2.47% in 2013 – but falling to a 2.39% share in 2015. European buyers are ignoring that trend – 23% of Europe’s new car sales involved an EV or hybrid last year – up from 17% in 2014. There’s also strong sector growth in China and India, where 30% of today’s gasoline powered cars are currently sold, but conditions in recent years have put off AFV buyers in both North America and the Asia Pacific region. It’s still early days for Plug‐in Hybrids (PHEV) and pure electric vehicles generally – but worldwide impact has been modest so far. The Nissan LEAF, which kick‐started EV sales in 2010, has sold over 201,000 units, and Nissan’s partner, Renault, another 83,000. But, around the world in 2015 – despite 48% growth – total pure EV sales were just 242,000 units. EV and PHEV sales are accelerating in North America and Europe, while market share in the vast Chinese and Indian markets, grew from 0.9% in 2014, to 0.21% in 2015. So far, high prices for low‐emitting AFV models have made Government and local incentives vital to drive sales – though country by country they vary considerably. City authorities seeking reduced congestion and improved air quality are introducing urban congestion charging and low emissions zones – with incentives or exemptions for specific low‐emitting vehicles. 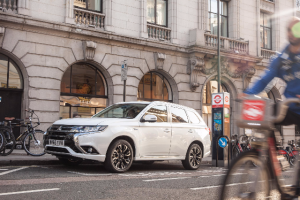 Business and fleet users have recognised the opportunities presented by such policies, with taxi, private hire, delivery operators and others lowering costs by moving from diesel into modern AFVs or full electric vehicles. Norway’s benefits package began in 1990: its generosity has seen the EV market share rise beyond 20% – with a majority of cars going to company drivers. Netherlands’ EV share is over 5%, while Britain’s programme, begun in 2010, resulted in more low emitting vehicle sales in 2015 than in the last five years combined. This situation is changing. Experts at PWC Autofacts anticipate falling government subsidies will slow ‘plug in’ sales during 2016. The UK has recently cut headline grants by 50%, and AFV company car tax will climb from 7% to 14% in The Netherlands. Norway also plans reduced support from 2018. Residual values could benefit, but with AFV and pure EV sales still modest overall, upward price pressures while oil prices are low cannot help. But all AFV sales could benefit if diesel use declines in future, according to Eric Tanguy, an auto analyst with Standard and Poor’s ratings agency. He feels Volkswagen Group’s recent problems and tightening vehicle emissions policy targets could hit diesel sales: “Emissions issues are affecting the image of diesel vehicles, even those with adequate systems to deal with NOx emissions,” he says. “That equipment adds to vehicle costs. Carmakers won’t be able to install it on smaller cars and still keep diesel prices competitive. For operators frustrated by current EV limitations and unconvinced by the complex technology in PHEVs and range-extender hybrids, hydrogen powered fuel cell electric vehicles (FCEV) might seem the answer. Toyota and Hyundai already offer limited numbers in the US, Japan and some key European countries, Honda will follow them this year, and Nissan plans to add fuel cell vehicles to its EV range from 2017. FCEVs have a window to become established as long term players in zero carbon mobility, according to IHS Automotive’s Ben Scott, but he also sees advantages and disadvantages: “Right now driving range and refuelling time are similar to conventional cars… but battery cost and technology improves every year,” he says. “With time, batteries will progress until FCEV advantages fall away, leaving them unable to compete on cost or practicality. If they aren’t well established in the market by then, they could be left in niche applications.” IHS analysts currently forecast slow future FCEV growth, with only 150,000 such cars on the road by 2025, serviced by just 2,000 fuelling stations globally.